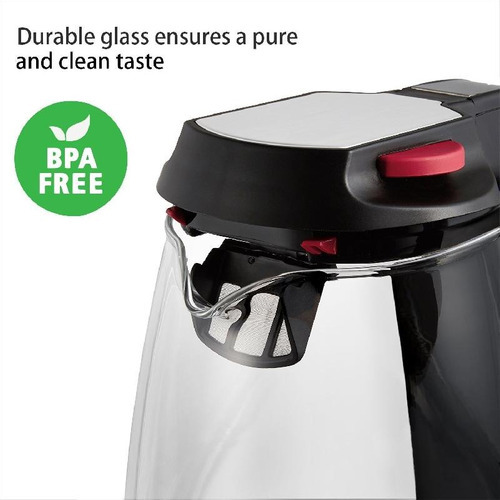 Premium glass kettle - Cool and strong, the premium glass kettle made with high quality glass and stainless steel bottom. 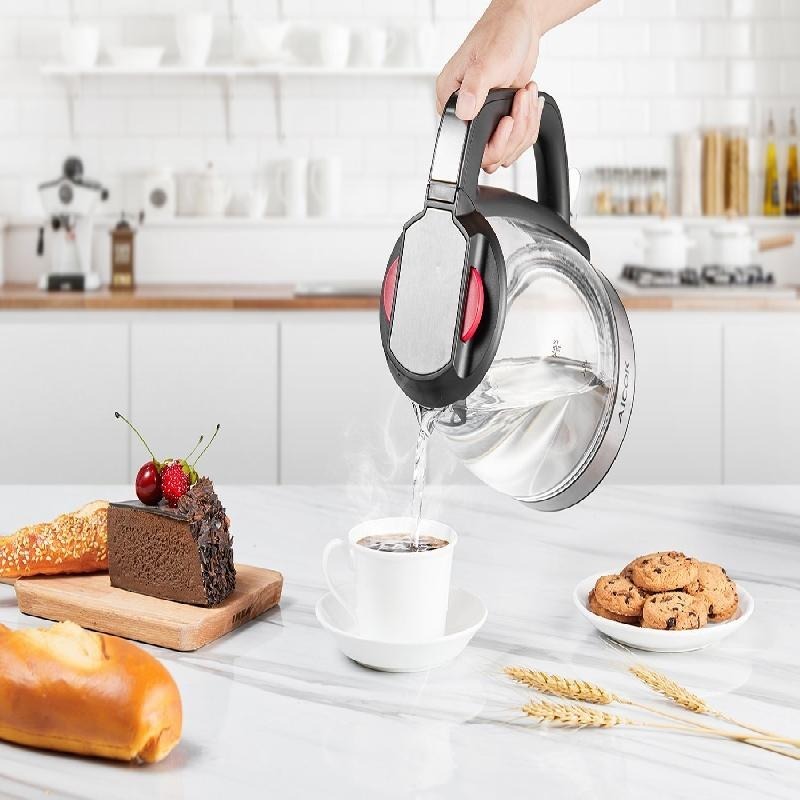 There is no unpleasant taste or smell, this kettle keep clean and preventing taste contamination. 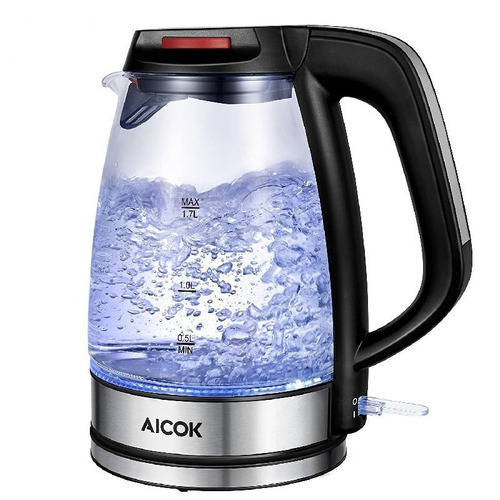 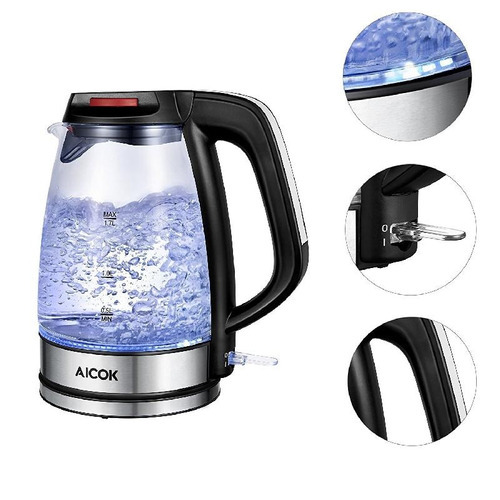 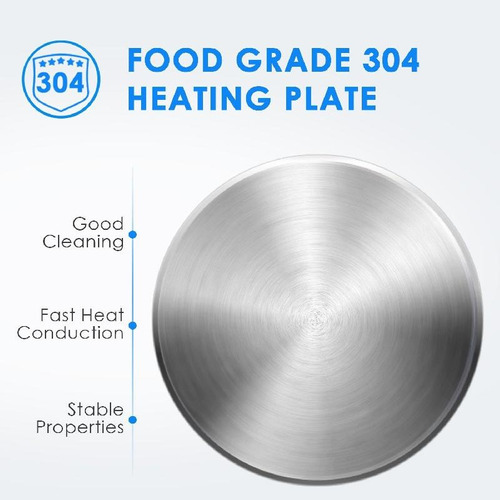 LED indicator technology - The water boiler equipped with blue LED indicator light, light up as it begins to boil water and automatically shut off after boiling. Easy to know when the water is boiling. Extra fast water boiler - 1500watt power make the boiling more efficient than stovetop kettle and microwave. 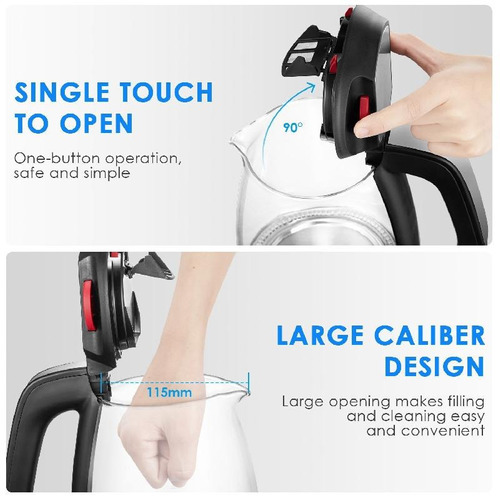 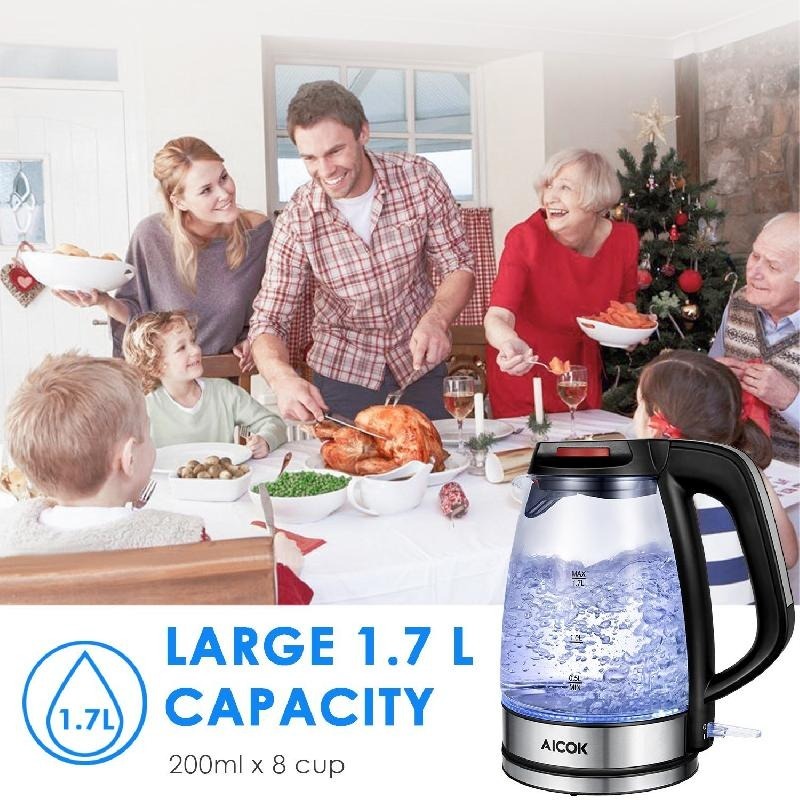 Even when fill to Large capacity(1.7L), the water comes to a full boil within 5-6 minutes and will be ready for tea, coffee, pasta, hot chocolate, oatmeal, instant soup etc. 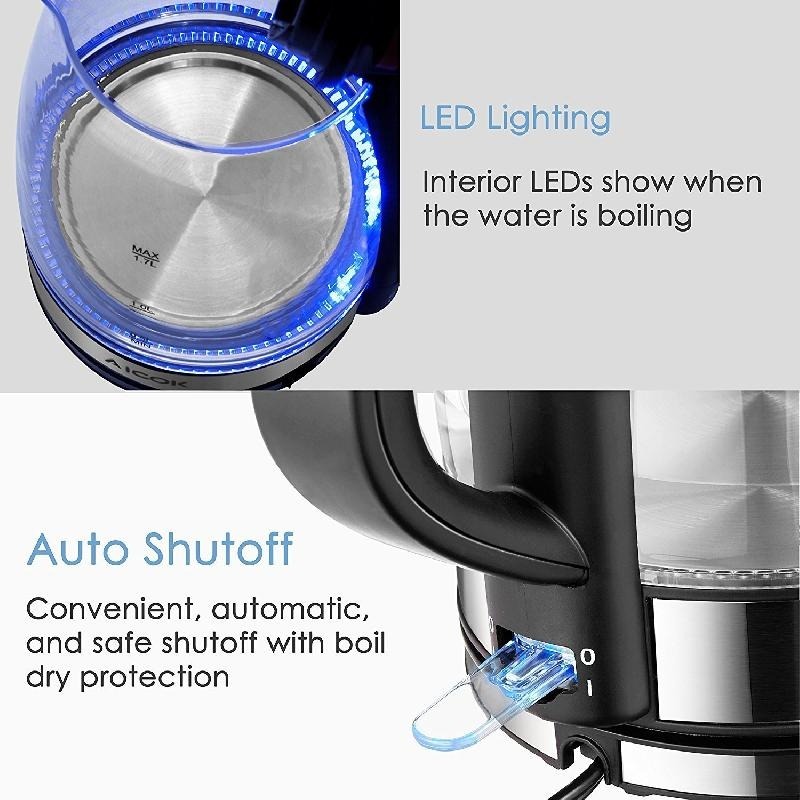 Durable auto shut-off thermostat - With world leading brand British Strix Thermostat , automatic shut-off up to 10,000 times. It means the kettle can used last for 10 years. 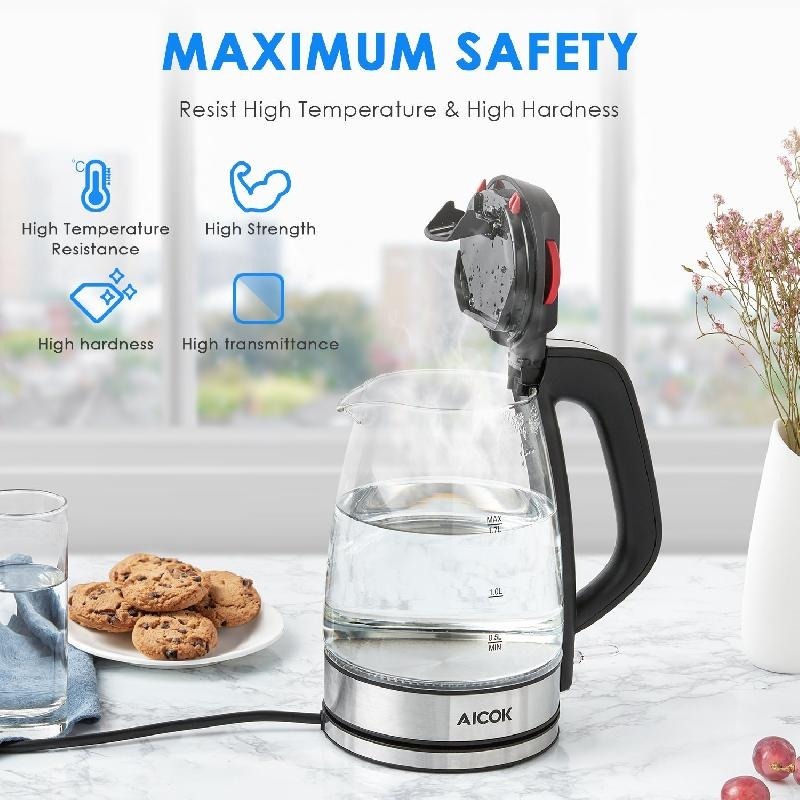 The temperature control is more precise(shut off promptly when the water reaches a boil), perfect for maximum safety. Convenient cordless kettle - Built with 360-degree swivel base, convenient to pour water without dragging the cord around. Cordless technology allows for hassle-free pouring. 2-year warranty. *Los artículos importados tienen garantia por defectos de fabrica unicamente. No incluye mala manipulacion. 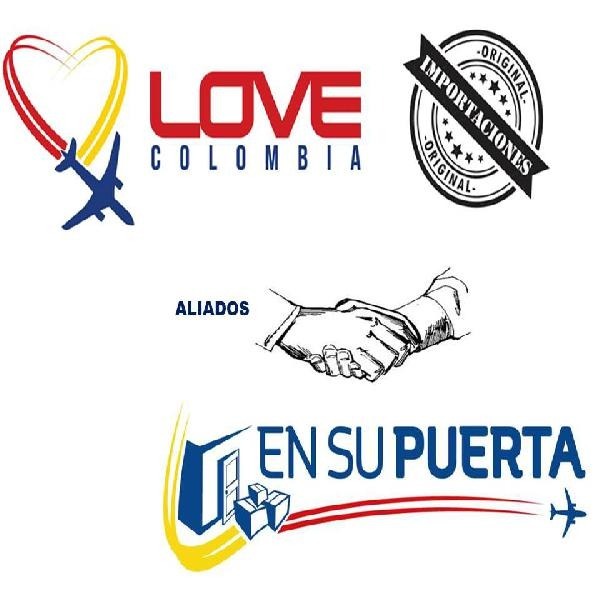 -¿Hay devolución de dinero después de haber hecho la compra?